Pronounced Pango Pango, this city is the capital of the US territory of American Samoa. 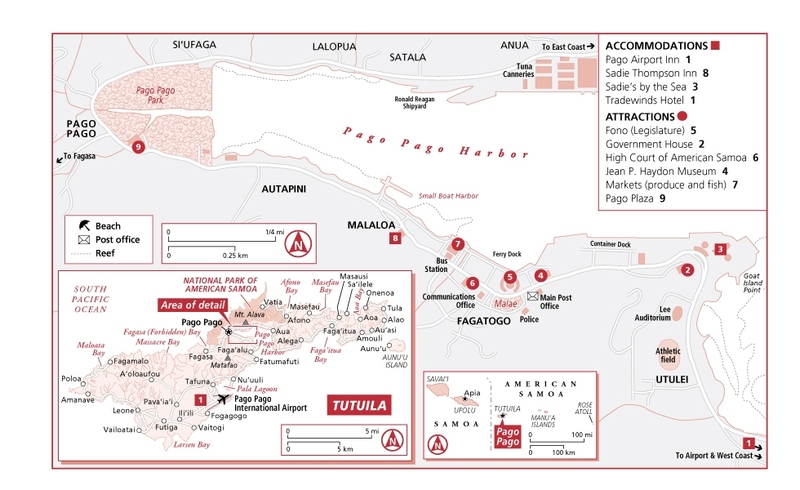 It is located on the largest island Tutuila. Cruise ships dock at a small commercial pier on the eastern end of the harbour. The small capital is within walking distance. The official currency of American Samoa is the US dollar. Tipping is not common. The island of Tutuila has frequent, but unscheduled family buses. For 50 cents to a dollar you can be taken around the harbor and to the more remote parts of the island. The bus terminal is at Fagatogo market. Hail an bus with a wave of your hand. When you want off, tap the window a few times and the bus will stop. Pay the driver when you exit. Taxis are available but not abundant. Two hour island tours are usually available from the pier for $20. Utulei Beach is a nearby public beach east of the pier (away from town). Sadies Resort is next door where you can purchase day passes to use their facilities. 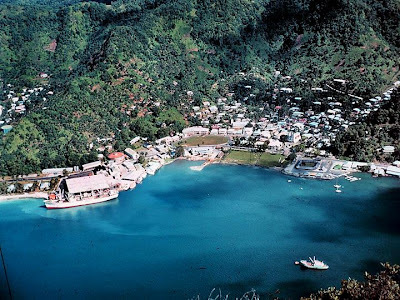 There are shops and supemarkets along the main street in Pago Pago from the port. Fagatogo market is a local market for fruit and vegetables but there are some tourist stalls. There is usually a souvenir market setup by the pier. Free wifi is available in McDonalds (between 2-8pm), Fantago Market, Island Java, and the public library.